Cost is variable for religious, singles & couples. See our website for more information. Deposit & Registration required. On Tuesday of Holy Week, the archbishop, bishops, priests and deacons celebrate the Chrism Mass for the blessing of Holy Oils for the new year. There will be limited availability of clergy for services at the cemeteries. Families should check with their parish first to make sure clergy will be available for committal services. Good Friday, April 19, both cemetery locations will close at 3 p.m. Please keep in mind our counselors and receptionist will be in the office until noon. Burial services will take place up until noon. Holy Saturday, April 20, there will be no burial services in accordance with Canon Law. Normal office hours will resume and our flower shop will be open. Easter Sunday, April 21, both cemeteries will be open for visitation during regular business hours but the office and flower shop will be closed. For any questions regarding our visitation hours or to learn more about our services please visit our website www.catholiccemeteriesmiami.org/. Patient Registration: This position will be responsible to interview new patients and complete eligibility applications with primarily Spanish-speaking patients. Position open Mondays, 12:30–4 p.m.
Telephone/Reception: This position will be responsible to answer telephones and be able to communicate with a primarily Spanish-speaking call volume. Various positions are open Monday–Friday, 8:30 a.m. to 4:30 p.m.
Office Support – this position will primarily work with clinic staff in obtaining reports for the healthcare providers, doing computer work and assisting with other non-direct patient related support services. Various positions open Monday–Friday, 8:30 a.m. to 4:30 p.m. Knowledge of medical terminology is helpful. Volunteers must be 18 years of age or older. Bilingual (English/Spanish). Ability to fluently communicate in Spanish is highly benefitial as most patients are primary Spanish speakers. 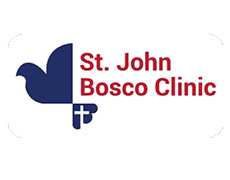 St. John Bosco Clinic is sponsored by the Sisters of St. Joseph of St. Augustine, Florida. Established in 1992, we aim to be an enduring presence providing care as long as there are underserved children and adults without access to healthcare. The strength of a free clinic lies in its volunteer support. Volunteers help strengthen the safety-net that cares for our community. Those served at St. John Bosco Clinic have different life stories, faces and nationalities. They are the young, old, working poor and the unemployed, but they share one very similar need: the need for healthcare and difficulty meeting that need for themselves and their families. The St. John Bosco Clinic is a safety-net for these families. Saint David Young Adult Ministry (YAM) connects young adults in their 20s-30s with opportunities to grow in faith, serve our community and thrive together at our parish and beyond, committed to be a unifying force between area young adult groups in mutual support, collaboration and fellowship, stronger together!